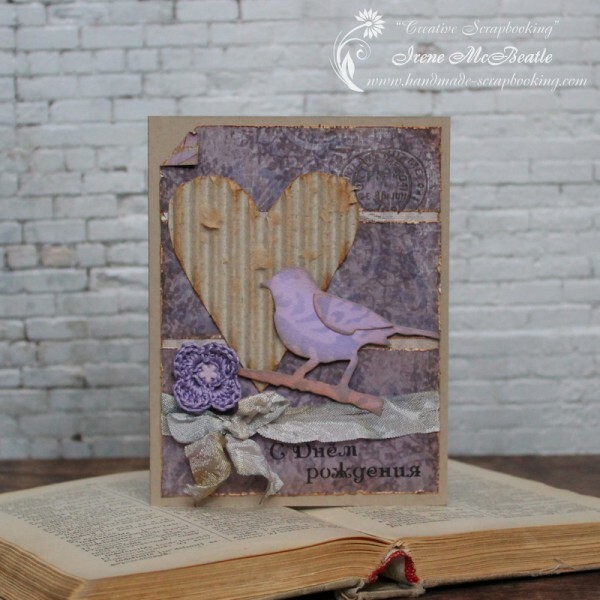 This vintage card is based on the combination of lilac tones and craft. 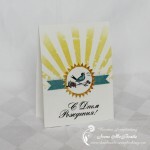 The front of the card features a bird and a heart. 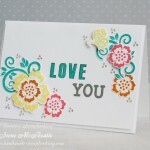 I would like to participate in the challenge Simon Says… Anything Goes. 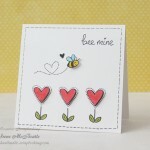 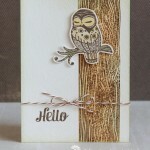 Gorgeous card Irene, such pretty colours and your distressing looks fab..